I received a lovely care package from a tea farmer, Mr. Niroku Muramatsu. It contains three different kinds of oolong tea made in Shizuoka, Japan. Yes, Japanese oolong. 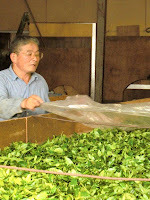 He has been leading the current wakocha industry for nearly 30 years. 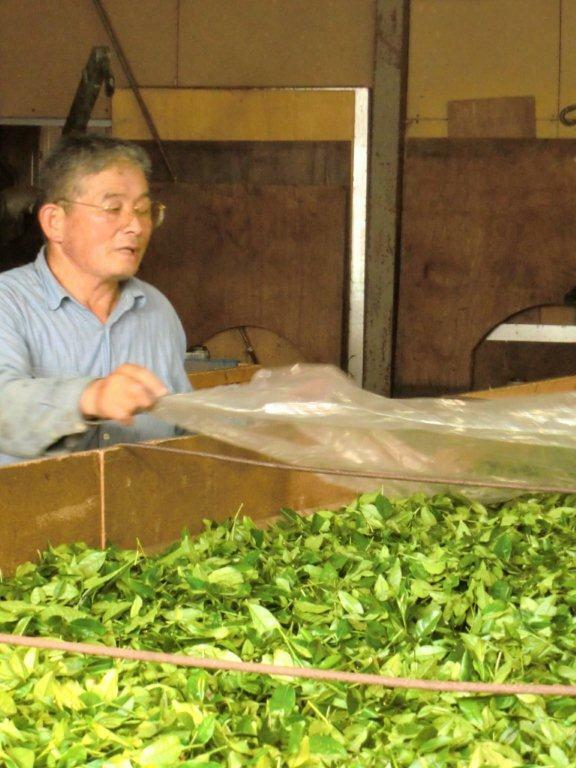 In recent years, he puts his passion more to Japanese oolong. They are produced from different varieties, one of which is called “Izumi”. It was officially registered as a newly variety for kamairi (pan-fired tea) in 1960 and was grown mainly to export to North Africa. Actually, my favorite tea is the one of the others. When I opened its bag, I smelled flowery aroma. When I drunk it, I enjoyed flowery sweetness with good body, and felt like the tea went down smoothly. He loves to make a joke, mainly cheesy joke, which I like of course:-), but as far as tea is concerned, he always pursues “genuine”.